We strive to develop and honor the life-enhancing qualities of honesty, respect, humility, integrity, loyalty, and kindness. The association was formed in honor of the memory of Sifu Kuo Lien Ying, who brought Guang Ping to the United States, and in commemoration of his unselfish sharing of his many skills. Our mission is to promote, perpetuate, develop interest in, and preserve the quality of Guang Ping Yang style Tai Chi Chuan throughout the world, and to provide support for research and education in Guang Ping Yang T'ai Chi Ch'uan. We strive to develop and honor the life-enhancing qualities of honesty, respect, humility, integrity, loyalty, and kindness. We manifest our commitment to this process by honoring our teachers, students, each other and the practice of internal arts.The information contained in these pages is offered freely to anyone interested in learning more about the association, Guang Ping Yang style T'ai Chi Chuan, or T'ai Chi in general. We hope you will find it useful. In return, we ask that you please respect the work that members of the association have put into developing and maintaining this resource by remembering that this is a copyrighted work and honoring that copyright. Please make personal non-commercial use of anything you find here. If you want to make a copy to share with a friend or fellow T'ai Chi practitioner, please copy the entire page, or article, including the attribution and copyright ownership information. Interested in seeing Guang Ping Yang form? Check out the videos on YouTube! 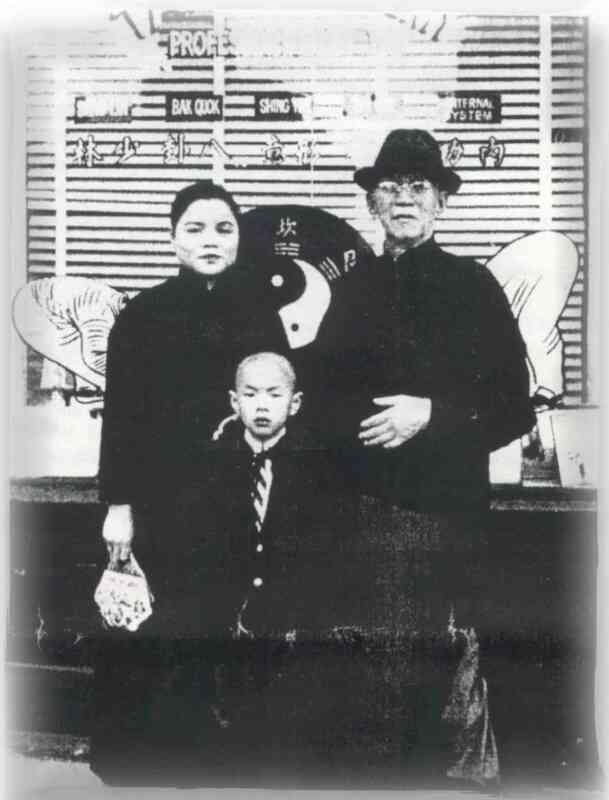 Kuo Lien-Ying, and their son.